Sometimes, we are reminded that the civics class we took in high school wasn't just an occasion for the boys in the back row to pull pigtails and have snicker fests making fun of the goody two-shoe student government types who earnestly raised their hands all the time. The crisis over Greece's sovereign debt illustrates why effective government is good for business and the economy. Late last week, the EU announced a bailout plan, of sorts, to provide Greece with assistance in case it could not successfully borrow in the financial markets. The details of the plan remain vague. One feature that was prominently mentioned, though, was that the IMF would supposedly participate in the bailout. Why include the IMF? In part, to spread the costs of the bailout farther, as a palliative to the frugal German electorate. Less publicized but probably more important is that the IMF doesn't just hand over money to distressed nations. It imposes tough love requirements for fiscal responsibility (read, fiscal austerity) that steer the borrowing nation back to the straight and narrow. These conditions fill a gap left in the EU's governance--namely that there is no means for the EU to compel its members to adhere to its fiscal standard (i.e., that their government deficits not exceed 3% of GDP). The EU ostensibly monitors its members for compliance. But oversight has failed, with Greece successfully understating its deficit for years, until it 'fessed up last fall to violations. And even if the EU had uncovered violations, it has no enforcement process to mandate improved behavior. Imagine a police force with defective radar guns, no cruisers and no ticket books, and you have the EU. The IMF can produce results. The Asian Tiger nations caught in the 1997 currency crisis spent time in IMF boot camp, down on the deck giving twenty. Today, they are prosperous. The IMF cure involves painful economic adjustments and more than a smidgen of increased unemployment. So the threat of IMF involvement may push Greece to get right with the EU. But one high ranking EU official, Vitor Constancio of Portugal (a nation with its own sovereign debt problems), reportedly rejected IMF involvement. So the waters were muddied just as they were clarified. The generality and absence of details about this bailout package raises suspicions that the EU is gaming the financial markets, announcing the discovery of the Seven Cities of Cibola without explaining precisely how to get there. Talk therapy is a cheaper way to keep Greece's borrowing rates from skyrocketing than cash on the barrelhead. When you get down to it, talk may be all the EU has to offer, because it has no way to compel member nations to contribute to a bailout, even if they've agreed to participate. Add the fact that Germany still hasn't committed to help fund a bailout, and one wonders whether "bailing" here means helping Greece or avoiding any role in helping Greece. The EU's charter (the Maastricht Treaty) is weaker than the Articles of Confederation that the thirteen original United States had to abandon in 1789 in favor of a Constitution that provided for a much stronger national government. As much as today's conservatives might dispute it, the power of the federal government is a crucial reason for America's prosperity. It promoted the development of national transportation systems (railroads, airlines and interstate highways) and communications systems (a national postal service, the telegraph, the telephone, radio, television, and now the Internet). It subsidized the settlement of farm land (with measures like the Homestead Act and the Oklahoma land rush), and helped agriculture recover from the Dust Bowl (with Department of Agriculture programs and price supports). It promoted investor confidence after the 1929 stock market crash, and stabilized the banking system with the Federal Reserve system and federal deposit insurance. Many of these programs have had disparate regional impact, where one part of the U.S. subsidizes another part. But the nation as a whole has benefited and grown. While federal policy sometimes goes too far, the United States would never have become the world's sole superpower without a powerful federal government. The EU has almost no chance of evolving into a single nation, the way the United States unified from semi-autonomous states to a single nation. Its differences are greater than those of the American states, and there is no looming military threat (like Great Britain to the fledgling United States) to impel unity. Thus, effective government will elude the EU and its sovereign debt problems are likely to continue. As long as the EU can mollify the financial markets with talk therapy, the status quo may limp along. But if Germany's parsimonious electorate is called upon to actually plunk down real cash money, we might easily see the beginning of the end of the EU. Greece cannot be ejected from the EU (its charter has no mechanism for expelling non-compliant members). But Germany has no obligation to fund a bailout or remain in the EU. Today, the Germans expect the Greeks to behave like Germans, and the Greeks expect the Germans to behave like Greeks. Neither is going to happen. Sooner or later, everyone over there will look across the Atlantic for a bailout. With populism roiling the political waters here, there will be no second Marshall Plan. So the sovereign debt crisis is likely to continue unless the financial markets decide against the weight of the evidence that Greece is a good credit after all. And when you get frustrated with the way things are going in Washington, just look across the Atlantic for a reminder that things could be worse, maybe a lot worse. Just about everyone agrees that America's health insurance system is broken and needs to be fixed. Why, then, has change been so difficult to achieve? There are many reasons. One very important but rarely mentioned one is political stereotyping. Political stereotyping, as we use the phrase, means attacking a politician for fitting the stereotype of his or her party and background. For example, President Obama has been typecast by the tea parties and the right as a big spending, big government politician. Being a Democrat who espouses mostly moderate and liberal ideas, he is vulnerable to such stereotyping. It's very difficult for any politician to achieve change when the change is susceptible to political stereotyping. President George W. Bush's "ownership society" proposal to change the Social Security system by cutting back on guaranteed benefits and introducing government-funded investment accounts was easily be typecast as Republican parsimony toward moderate and low income Americans. It was DOA. Presidents are often successful when contravening their political stereotypes. President Obama encountered relatively light opposition to escalating the war in Afghanistan. President Clinton famously failed to reform health insurance, but was singularly successful in closing the federal deficit and producing a surplus (putatively a Republican aspiration if there ever was one). Clinton deregulated the financial sector, another seemingly contra-stereotypical policy that would unfortunately contribute to the 2007-08 financial crisis. He also reformed welfare to reduce opportunities for recipients to stay on the dole for long periods of time. Farther back in time, Richard Nixon attained rapprochement with China, a step that a Democratic President would have been vilified for taking. President Eisenhower's expensive program to build the interstate highway system was an easier sell coming from a Republican President. Programs that fit political stereotypes are usually adopted when the party in the White House has a large majority in Congress and the urgency of a crisis to invoke. Franklin Delano Roosevelt's New Deal wouldn't have been possible except for the Great Depression and the large Democratic majority in Congress. Lyndon Johnson's civil rights program followed from his landslide victory in 1964 and the increasing stridency over civil rights. The last great political battle over health insurance--the Medicare program adopted in 1965--also followed from the Democratic landslide of 1964. Barack Obama's health insurance reform, approved by the thinnest of margins, was achieved only because of the sweeping Democratic victory in 2008 and the virtual breakdown of the status quo in health insurance. Nevertheless, with the Democrats having demonstrated the ability to deliver on a major program, they have overcome the disadvantages of fitting the stereotype. The yin and yang of Washington have shifted again. China Bails as Germany Declines to Bail. Will America Bail? The Chinese government is conducting stress tests on over 1,000 Chinese companies to ascertain how a rise in the value of China's currency, the yuan, would affect them. See http://www.bloomberg.com/apps/news?pid=newsarchive&sid=ahhhMkrA.A.I. This happens at a time when the U.S. and other countries have complained about the strength of the yuan. Members of Congress have threatened to take action against China (although given Congress' record of alacrity on legislative initiatives recently, the Chinese would hardly be quivering in their shoes). Nevertheless, it is potentially significant that China's government is scoping out the impact of re-valuing the yuan upwards. Americans and other non-Chinese shouldn't delude themselves that their complaints have much to do with China's apparent inclination to re-value. China's economic policies are driven by internal concerns. While the Chinese government hardly is a paragon of transparency, there's probably an overriding reason why China might now re-value the yuan. It has no good investments outside of China for future trade surpluses. The dollar, overall, has dropped during the last decade and can be expected to keep sinking. The Euro is suddenly looking shaky, with the recent surge of EU sovereign debt problems, hinky national accounting systems and preposterous posturing substituting for a solution. The yen offers low-yields and doesn't have attractive long term prospects, not with Japan's massive government debt. The yuan, by contrast, is likely to be a good investment. Although there is currently a bubbly froth in China's real estate and credit markets (sound familiar? ), the People's Republic remains on an upward long term trajectory. By raising the value of the yuan, the Chinese government reduces China's trade imbalances and the cash surplus it needs to recirculate to other countries. U.S. imports to China may rise, although you can bet China's government intends to encourage Chinese companies to redirect their attentions to domestic markets. Throughout the last 30 years of modernization, the Chinese have quietly made a priority of economic self-reliance, encouraging Chinese companies to improve technological applications and productive efficiency, with the goal of competing against and ultimately supplanting foreign companies selling in China. If the yuan is re-valued upward, China's push for self-sufficiency will intensify, and probably enjoy considerable success. Then, the Chinese government will look smart for investing in the yuan and bailing on the currencies of stagnating foreign nations. Meanwhile, back at the ranch, the EU is starting to look less unified. The French have stepped forward and argued for an explicit bailout of Greece. The Germans, no doubt irked by the fact that France's gallantry would be funded by Germany's wealth, have intimated that perhaps Greece should depart the EU in order to pursue other opportunities (or something to that effect). On a subliminal level, it's disquieting to see France and Germany disagreeing over a nation in the Balkans. At least this time, neither stormtroopers nor poilus are on the alert. Nevertheless, the Europeans seem to be drifting back toward the dynamics of continental relations in the early part of the preceding century, when nations seemed simply to misunderstand where their neighbors were coming from. France's President, Nicholas Sarkozy, by proposing a concrete bailout plan for Greece, was inviting Germany's Chancellor, Angela Merkel, to commit political suicide. Seeing as how Merkel worked her way up the political ladder to become Germany's first female chancellor, self-immolation isn't likely to be in her playbook. While the French electorate is surely applauding Sarkozy's efforts to allocate some of Germany's wealth to Greece, Germany's electorate will only encourage Merkel to flip Sarkozy a pelican, or something like that. This isn't likely to end in a cozy circle with everyone roasting marshmellows and singing Kumbaya. Greece has threatened to go to the IMF for assistance if the EU doesn't soon come up with a concrete bailout plan. The Germans shrugged. Without German participation, there will be no EU bailout plan because France and other pro-bailout nations have only the courage of Germany's convictions. Thus, it may pass that Greece goes to the IMF. That's when Greek prime minister George Papandreou's quiet visit with President Obama last week may acquire greater significance. While next to nothing has been said publicly about the purpose and outcome of that meeting, it wouldn't be a surprise to see an American contribution to the IMF not long after Greece applies for help. After all, doughboys and GIs twice went over there to solve Europe's problems. Greenbacks may have to make the same trip soon. Former Secretary of the Treasury Henry Paulson and the current Chairman of the Federal Reserve, Ben Bernanke, have been well-excoriated for their 2008 decision to let Lehman Brothers fail, rather than bailing it out like Fannie Mae, Freddie Mac and, subsequently, AIG. The charges leveled against them are to the effect that the financial markets expected a bailout, and Lehman's failure led to a massive credit lockup that turned a mild recession into the worst economic crisis since the times of Charlie Chaplin. Paulson and Bernanke are, at least implicitly, held responsible for the layoffs of millions of Americans, the near collapse of the financial services industry and the 50% drop in the stock market. Now we have a bankruptcy examiner's report on Lehman's demise, which depicts a recklessly managed (or mismanaged, to be precise) firm on a hedge fund-like leverage rampage that artfully (in the Dickensian sense of the term) presented itself as an investment bank. Prominent among Lehman's shenanigans was the sly use of British repo transactions to sweep some of its leverage under the carpet at the ends of quarterly financial reporting periods in order reduce the firm's apparent leverage. Now that this stink bomb has exploded, a lot of former high ranking Lehman executives are denying knowledge of these British repos (called "Repo 105s") or not commenting. The auditors insist they did an acceptable job, although it appears they knew of the allegations of a whistleblower. And one can only wonder if, at its meetings, the board was focused on what would be served for lunch instead of the financial condition of the firm. The press and blogosphere are now swarming the potential culprits like packs of ravenous wolves with litters to feed. Blame is being avidly and abundantly cast. Very possibly, it is well-deserved. Perhaps, though, along with the zestful mud-slingarama, we should consider whether anyone comes out looking a little better. Maybe Hank Paulson and Ben Bernanke weren't so far off the mark. With what we now know about Lehman's true financial condition, we can see that a bailout would have been much more expensive than it seemed at the time Lehman collapsed. Outrage over bailing out undeserving Wall Street executives would have been all the more magnified if the shameless gamblers at Lehman had received the munificence of taxpayers. The chattering classes would have fulminated about immoral levels of moral hazard and the witlessness of the government allowing potential wrongdoers (top executives, board members and auditors) to live to fail another day. It doesn't necessarily follow that a Lehman bailout would have precluded the need to bail out AIG. Perhaps, a bailout would have encouraged AIG to extend its leverage even more in the hope of trading its way out of trouble, like the losing gambler who goes in for a dollar after losing a dime. That strategy could have easily led to mega-disaster in the volatile markets of 2008. Then the taxpayers would have been taken to the cleaners even more than they were. Did Hank Paulson have an inkling of what Lehman was up to? After all, he would have had access to the top levels of Wall Street, and it's quite possible that others on the Street sensed, if not knew, what was going on at Lehman. Did Chairman Bernanke field enough phone calls from Wall Street execs to get the picture? 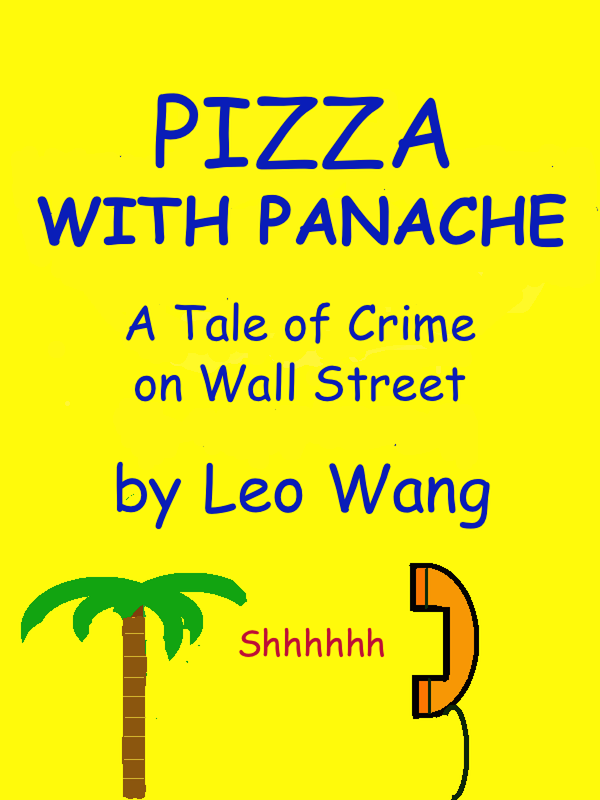 We may never know for sure everything that Paulson and Bernanke knew, heard, sniffed out or suspected. But, in the interest of Monday morning quarterbacking government officials fairly, let us consider that their decision not to extend the generosity of taxpayers to a bunch of rascals really wasn't all that bad. Indeed, had Lehman not gone into bankruptcy, we wouldn't have the comprehensive examiner's report to provide a better picture of how inept risk management in the financial system has been, and why financial regulatory reform, still stalled in Congress, remains desperately needed. Currencies: the Latest Bubble to Burst. Is Municipal Debt Next? In the leverage-fueled, easy money world of the turn of the 21st Century, life is just one asset bubble after another. The bubbles du jour are the Euro and the pound sterling. The Euro bloc and the U.K. seem to have achieved faux prosperity with gads of borrowed money, some of it carefully tucked away in quiet, little (or perhaps not so little) derivatives transactions. But the problem with debt is that creditors expect to be repaid. As creditors sought to have their way, the Euro and pound lost value. This down trend may have been exacerbated by trading in credit default swaps, the hydra of the financial markets. Thus, derivatives seemingly not only heightened the bubble, they also may have intensified the pop. Government officials in EU nations now talk openly about restricting the use of credit default swaps for sovereign debt. The financial engineers of the derivatives markets will likely sprout two or more new contracts for the credit default swap if it is cut off from the sovereign debt markets. Europe will have to search long and hard for a champion to truly kill this beast. Municipalities in the U.S. also availed themselves of the easy credit offered by not terribly transparent derivatives. Many now find themselves locked into long term contracts that are expensive to maintain and expensive to terminate. Their only consolation is that the Wall Street bankers who sold them these puppies are back to earning big bonuses, thanks to the American taxpayer. Municipal bankruptcies are rare, but perhaps will be less so in the near future. If local governments must choose between police and fire protection, good educations for children, and decent roads, on the one hand, or continuing to enrich multi-millionaire investment bankers on the other, it's not hard to imagine that the sanctity of contract will take a fall. The Bankruptcy Code is intended to give debtors a fresh start, and a goodly number of municipal officials are likely to proceed on the premise that all politics are local. They may take inspiration from the Chinese government. A news story today on Bloomberg.com (http://www.bloomberg.com/apps/news?pid=20601087&sid=ay..a15ZCHJU&pos=3) reported that China's national government will repudiate Chinese municipal guarantees of debt incurred by financing vehicles local governments set up to circumvent municipal borrowing restrictions, and prohibit such guarantees in the future. Kinda of reminds one of the SIVs and other special purpose vehicles banks set up for mortgage-backed investments to circumvent capital and financial reporting requirements. This Chinese version of the problem doesn't, at first glance, seem likely to precipitate a currency crisis, since the unguaranteed loans appear to be held mostly by Chinese banks. Beijing's purpose is probably to cut back the vast quantities of credit in China that may send inflation spiraling upward. But the notion that governments need not kowtow to banks could acquire increased currency (pun intended) from the Chinese example. While the federal government, almost incapable of achieving even modest reform of the financial regulatory structure, is clenched tightly within the grip of Wall Street's lobbying machine, the populism sweeping the nation could find new expression in municipal bankruptcies, where local government officials could claim heroic status for themselves (and re-election) by telling the big banks to stick it. Today's housing news was that contracts to purchase existing homes fell 7.6% in January from the December 2009 level. Last week, we learned that new home sales fell 11.2% to the lowest level ever recorded since 1963, when the Census Bureau began tracking new home sales. Clearly, in spite of an expanded buyer's tax credit, the housing market remains a sick puppy. Relief measures have treated symptoms. Defaulting homeowners get opportunities to restructure their mortgages, but lasting success is infrequent. Homeowners who haven't defaulted have trouble getting relief, especially if they are underwater. Underwater homeowners are increasingly tempted to walk away from their mortgages, especially if the loans are nonrecourse. Treating symptoms often doesn't cure illnesses. Dealing with underlying causes is usually more effective. But the underlying causes of the real estate crisis are taboo. They cannot be discussed openly, not by government officials, nor Wall Street bankers, nor real estate industry professionals, nor consumer advocates. Candor would reveal the intractability of the crisis. At the risk of offending everyone having anything to do with real estate, we offer a little candor. The 30-year fixed rate mortgage doesn't make commercial sense. It is a difficult loan for banks to manage, since their costs (i.e., the interest expense of deposits and other borrowings) fluctuate while the rate on the mortgage remains fixed for a very long time. Before the 1930s, the 30-year mortgage didn't exist. For all practical purposes, it wouldn't exist today except that, since the Great Depression, the government has promoted it as a way to make home ownership affordable. We can't get away from it, because real estate values would probably take a great fall without its easy terms. Even today's shorter term adjustable rate loans have amortization schedules that contemplate a long term loan of 30 or sometimes more years, so they're really just an elaboration on the 30-year fixed rate. Banks don't like to hold 30-year mortgages. These loans can be made only by mismatching a bank's shorter term liabilities (like deposits) against a long term fixed rate asset. This mismatch is a formula for lending disaster when short term rates exceed long term rates, and they have periodically, going back to the 1970s. That's why the secondary mortgage market grew so large, first through federal agencies like Fannie Mae, Freddie Mac and Ginnie Mae, and later through private sector innovations like the mortgage-backed security, the CDO, the CDO squared, and so on. Banks became accustomed to offloading their mortgage risks. But the securitization market blew up along with the real estate crisis and remains moribund. Banks haven't been able to adapt to a world without securitization. Mortgage loans are almost entirely unavailable except when they can be guaranteed by Fannie Mae, Freddie Mac, or another federal agency, and resold. Securitization is now a federal program, not a commercial market. The government and many others continue to believe that if home ownership is good, more home ownership is better. While this argument might make some abstract sense in a middle school civics class, reality is that home ownership in America usually requires credit. Even if some level of home ownership acquired with credit is good, that doesn't make more credit-fueled home ownership better. Only so many people are good bets for mortgage loans, and after that borrowers become riskier. We found that out the hard way in the 2000s, when defaults by the risky borrowers drove down home prices. In a society where home ownership is largely based on credit, there is an optimal level of home ownership, and after that it's a bad idea. However, not one policymaker in a trillion will openly endorse this point. Another taboo is the proposition that banks should book the full extent of their home loan lending losses. America's banking system continues to hold hundreds of billions of dollars of losses attributable to home financing. Booking these losses would require more embarrassment on the part of banks (along with more capital raising efforts), more official consternation over the stability of the financial system and kabuki outrage over banker bonuses, and more houses in foreclosure sales pressuring prices downward. But not booking them is clogging up the banking system. Banks are afraid to lend because they want to hold onto their cash as a reserve against these unbooked losses. The paucity of bank credit is a crucial reason why the economic recovery is so tenuous. Economic stagnation is likely with the banking system in neutral. So the wheels spin, caught in the muck of mortgages that don't make commercial sense, a secondary mortgage market that doesn't function except as a government program, the assumption that we need to make more, and then even more, bad mortgage loans in order to advance the goal of home ownership, and the unwillingness of banks and their regulators to fully face up to the losses of the mortgage mess. There's hardly any room for market forces to operate--and that's why they hardly do. Housing isn't a market. It's a government program. It's kept on life support by government subsidies, and can't be weaned off of them because the price collapse that would follow would bankrupt America's middle class. Perhaps over the next ten years, the housing market will gradually revive. But it will surely continue to be built on the precarious edifice of taboos. Too much of America's capital will be misdirected into housing. Government borrowings will absorb vast amounts of what's left. Manufacturing and other activities fundamental to economic strength will be left with scraps. Growth will be stunted. Americans will squabble over who pays for health care, Social Security and other obligations that seem overwhelming when a slow growing economy doesn't produce wealth commensurate with society's generosity. But taboos cannot be discussed, so we end this essay. Good luck. One of the biggest questions in housing finance is how to revive the securitization market. During the housing boom of the early 2000s, banks earned massive amounts of fee and commission income by packaging mortgages into mortgage-backed securities. These securities were often sliced and diced into CDOs, CDOs squared and what not, in order to further entice investors (and speculators). What happened next is all too well known. The banks, eager to bulk up low-risk fee revenue while offloading lending risk, thought that if writing a lot of mortgage loans was good, then writing a shipload more would be even better. Lending standards dropped, to the point where banks didn't always document borrowers' incomes, as if to avoid learning that they shouldn't extend the loan. There were plenty of times when they shouldn't have, but did anyway. That insouciance toward prudence dug a very deep grave for investor interest in securitized loans. Today, just about the only mortgage-backed securities that can be sold carry explicit U.S. government guarantees. Housing finance has become a federal program, and today's housing stock enjoys what is effectively a federal price support policy. Needless to say, taxpayers can't support housing values indefinitely. In the view of bankers and many regulators, securitization must be improved and revived. The two potential improvements most often discussed are (a) requiring the banks that package mortgages to keep some of the lending risk, or (b) improving underwriting standards without requiring underwriting banks to keep some "skin in the game." The first concept is intended to keep the banks honest. But banks holding increased amounts of lending risk also must increase their capital levels. That is likely to lower profits, anathema to their executives suites and also not to the liking of some bank regulators, who seem to equate lower bank profits with greater aggravations for themselves. The second notion--improved underwriting standards--is clearly necessary, but insufficient by itself. Investors aren't prepared to put down their money with just promises of improvement. The problem is the discussion focuses on what the banks (and regulators) want, not what investors would like. This is donkey-backwards. A revival of a private securitization market depends on the willingness of investors to plunk their cash onto the barrelhead. There used to be a notion in American business that the customer is always right. A little fillip of customer service--i.e., investor protection--needs to be added to the mix. First, there's the issue of trust. Trust is the true foundation of the financial system. Investors no longer trust the banks at the heart of the securitization process. That's why the only mortgage-backed securities acceptable to investors today bear a federal guarantee. Banks hoping to securitize on their own seem to be viewed as little more than potential scofflaws. Serious regulatory reform--of both banking and the derivatives market--is essential. Consumer protection must be greatly strengthened, lending standards bearing a reasonable resemblance to prudence have to be enforced, and the derivatives market must become much more transparent. But the scope of reform evolving in current legislative proposals may be inadequate to reassure holders of capital. Second, the securitization market as it existed in the early 2000s ceased to be risk-sensitive. Investors had no effective way to discern that they were buying bags of digestive waste, and banks securitizing loans ceased to care that they were selling the same. The absence of risk sensitivity created grotesque market distortions that resulted in millions of bad loans being made, which may have enriched underwriting banks but also led to the defaults and foreclosures that have been driving down real estate prices. Risk insensitivity is the problem that the skin-in-the-game requirement is intended to fix. The continued desertification of the securitization market is a signal that not enough is being done. Further product development is required. Perhaps banks should agree to limit investor losses to a predetermined number of cents on the dollar invested. After that, the underwriting bank would bear all losses. The less the investment resembles a pig in a poke, the more likely people will buy. Such a provision would improve the quality of mortgages in the pool, which would benefit investors--and homeowners. Fewer low quality loans would be made. Even if home ownership levels fall, bad loans do not, in the medium (let alone, long) term, increase home ownership. They do, however, drive down real estate values when borrowers default and end up in foreclosure. Another improvement would be for banks to open up their databases concerning the underlying mortgages to credit rating agencies, and indeed, investors, for analysis. People are more likely to buy if they can kick the tires and lift up the hood. Any competitive issues would be unimportant if all offerings are subject to inspection. Of course, this may make pricing more accurate, or, stated otherwise, fairer to investors. And that's the idea. People will pay a fair price for what they understand, but not a penny for the opaque, black box CDOs of yore. Bank profits would be lower. But the current miserly dialogue about minimizing the extent of improvements to the securitization process may be holding down underwriting banks' costs, at the expense of expunging investor interest. The bank-centric orientation of reforming the securitization market isn't even leading investors to water, let alone inducing them to drink. However, if banks and regulators would give a nod to the holders of capital who've been taking it on the chin for the last few years, maybe they'd see the phoenix rise from the ashes.